Over the last year talk of justice has been spurred by the death of various African-American men at the hands our nation’s police. No question these victims, including the latest, Freddie Gray, deserve justice. But I wonder…..has “Justice” just been turned into another cable news soundbite or social media buzzword? Hashtag campaigns on Twitter and Facebook aren’t going to bring justice to anyone. The idea that throwing out a hashtag or a Martin Luther King Jr. quote on social media is going to “raise awareness” is insane. At best, people are preaching to the choir, at worst it raises the possibility that we are reducing complex societal issues to a minor abrasion that can be treated by lobbing a quote or two and shouting down someone who doesn’t agree with you. It’s not going to work, yet a lot of people, some of whom I respect very much, seem to think that this is the ticket. We go on Twitter or Facebook during times of great upheaval, drop an MLK quote, get into a couple of arguments, and we think we’re good. I wonder how many of us translate our “passion” on social media into actual action: going out into the world and seeking to make a difference. Not enough of us, not near enough of us. There’s no way that 140 characters can address these issues. These issues have been around as long as our country has, and even before. These things didn’t begin with Michael Brown, Eric Garner, or Freddie Gray, but we find that these causes are ones we can get behind, at least on Twitter. I wonder if we’d be as comfortable talking about justice for other folks though, especially when giving that justice might inconvenience us more than stopping to drop a tweet or two. The United States of America is not rich and powerful because of God’s blessing. We are rich and powerful because we are systemically racist and inherently unjust. Native peoples know it. African Americans know it. Other colonized nations and peoples around the world know it. In fact, much of the international community knows it. This quote is by a man named Mark Charles, the son of an American woman and a Navajo man. Mr. Charles lives on the Navajo reservation and advocates for his people. His blog is great and highlights many of the issues inherent in our shared history. That should be a gut check for each and every one of us. Which brings us to Mark Charles’ point. Many Americans don’t even know this happened. Many that do brush it under the rug as we hit up social media for our cause of the day. The descendants of these people still live on reservations, often in extreme poverty. When was the last time anybody tweeted about that? Apparently it’s quite en vogue to talk about white privilege when it comes to the plight of African Americans, but nobody wants to talk about it when you look at Native Americans, who have been shoved to the side as we stole their land and destroyed their cultures. So what’s my point? My point is that people today seem to think that weighing in on Twitter is actually contributing to justice. However, we don’t see that these issues ask many questions. We might be fine with these questions when it’s about a young man who died in a city across the country, but I don’t think these questions are as comfortable when we begin to talk about our country’s history and the systemic racism that our ancestors participated in, and that I think we still do today in some regards. 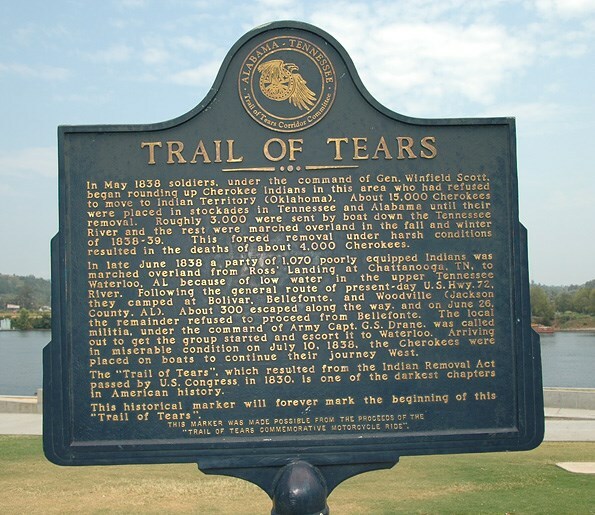 Understanding and justice can only start to be achieved when we, as descendants of colonizers, start to confront our past and our shared history with those who are descended from the colonized. It’s uncomfortable, but it’s the truth. 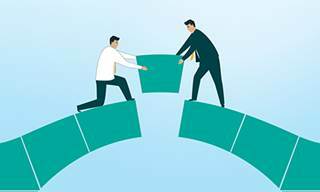 By telling our stories to one another and sharing each others pain, then maybe that can be the first step toward justice, change, and reconciliation. If we can’t do that, I see many more burning buildings and much more extreme poverty in our future. All the twitter angst in the world won’t change that. Historically, our country has a built-in problem with race. But I do not think race is our primary problem. Today, not only are we dealing with the historical trauma of African Americans and Native peoples, but we also have a deeply traumatized white America. The path of healing and the road towards reconciliation will not begin with new laws, or even with an amendment to our dehumanizing Constitution. Instead, it must start with the telling of the truth and an accurate portrayal of our history. If we want real community in this country, we must begin with creating a common memory. A couple of things right off the bat. First off, I’ve never really read Rachel Held Evans’ blog (though that is going to change) and I know that lot of people won’t give her or what she has to say a chance, which is terribly sad, because I think what she has to say is so important. It’s not that I have had anything against her, it’s just that I’ve been immersing myself so much in the literature of what is often referred to as “emergent Christianity” or “post-Christian” that I just hadn’t gotten around to reading her yet. Well, I’m glad I did. 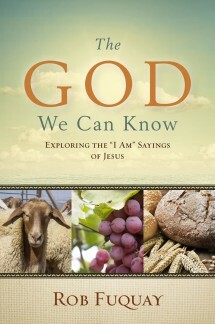 In fact, I don’t really want to reduce her or her wonderful book to something just in the “emergent Christianity” label. What I’d really call this book is “honest Christianity.” You see, the faith journey that she relates in this book really speaks to the same journey and the same issues that many of us have had, including myself. What happens when you become skeptical of a church that is consumed by ultra right political issues instead of serving it’s members and society at large as Jesus did? What happens when you can’t square the inclusive nature of Christ’s love with a church that slams it’s doors in the faces of the marginalized? What happens when you really decide that can’t continue to be a part of a church that refuses to ordain women and excludes LGBTQ people from full fellowship of Christ’s table? Each of these topics is covered in a fresh, honest, and revealing perspective. There’s no theological rambling. There’s no attempts to sharpen her own sword and exclude others. What there is is an honest exploration of these sacred topics and what they mean to us as Christians and to the Church as an institution. In particular I enjoyed the sections on confession, communion, and confirmation. Confession is good because it gets to us to ponder our own faults and our own need of Christ’s abundant grace. That section really convicted me. The Communion part was great because it really strengthened my personal belief about the Lord’s Supper: It is the table of Christ, not the table of the Baptist Church, the Methodist Church, the Catholic Church, or anyone else. It is Christ who issues the invitations to his table and we are not meant to be “bouncers” that keep people away. 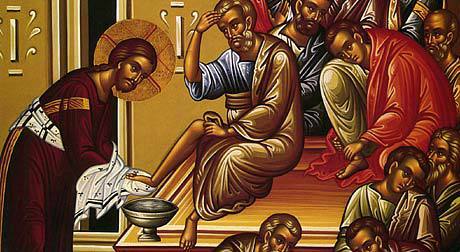 However Christ happens to be present in the bread and the wine, one thing is for sure: we are all equal at his table. Finally I really enjoyed the discussion of the Spirit and how it moves and works in the confirmation section. What a fresh, wonderful, and enlivening perspective! I really enjoyed the book so much and I can’t wait to read more about what she has to say. 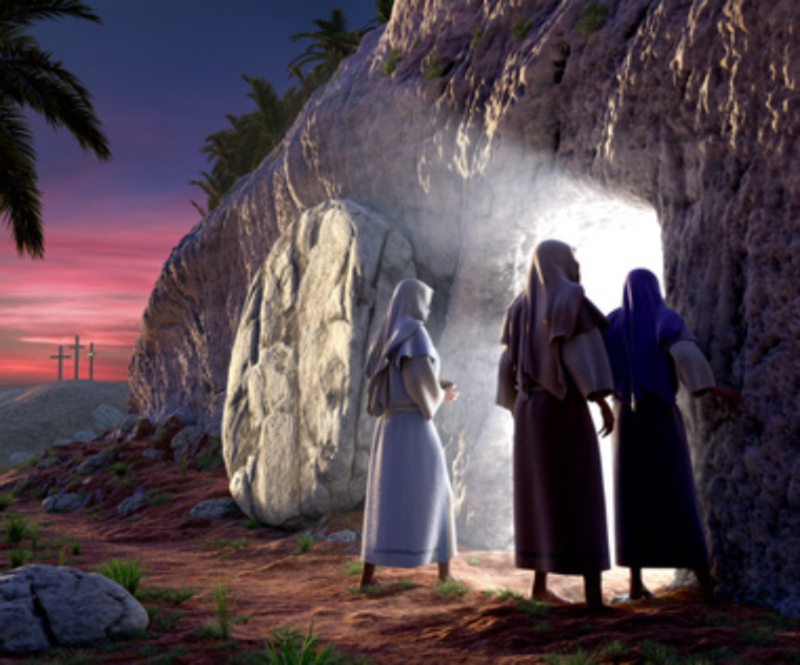 What is resurrection? What about the THE Resurrection. You know what I mean…. –NT Wright, “Lent For Everyone. Mark: Year B.” Page 174. A new beginning, a new way. A new way of being human. A new way of transformation. The transformation isn’t about escaping the world and going to streets of gold when you die. The transformation, like John Wesley experienced, is a heart strangely warmed. A transformation that wants to change you and change me into the image bearer of the Gentle Healer, and through us to transform the world. It’s a big, perhaps impossible task, but it already started with a few mourning women confronting an empty tomb that changed the world. Now we are asked to be a part of it. To be a part of the Kingdom of the Risen Son. 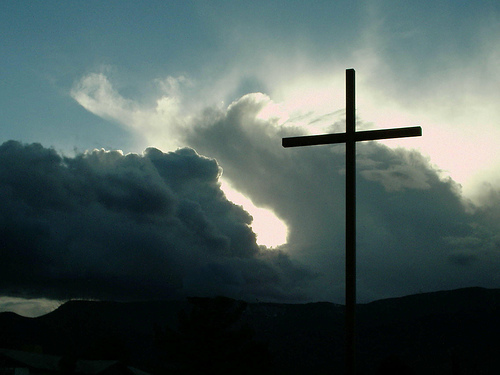 “Christ The Lord Is Risen Today”–NCC Worship. 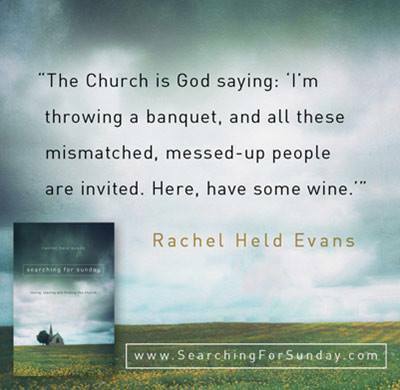 So the last couple of days I’ve been reading through Rachel Held Evans’ new book “Searching For Sunday.” Spoiler Alert: I’m halfway through it and it’s excellent. Had I not had to work, I’d probably be done with it already. In the section of the book about Confession, she offers an interesting take on the story of Jesus and the Adulteress from John 8. I have to admit that when I got done reading it in the light in which she presented it, I was hit by the Spirit in two separate emotions: conviction and thankfulness. They both hit me like a ton of bricks. To recap the story itself. 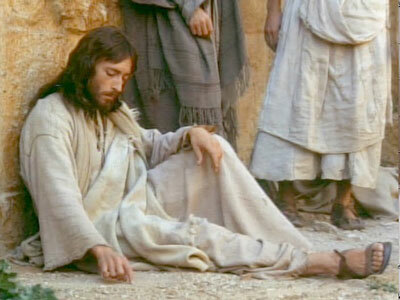 Jesus and his friends are chilling out, sitting on the ground and then a bit of a scene erupted. The scribes and Pharisees come bursting in holding a woman that has just been caught red handed in the act of adultery. Hoping to catch Jesus in a theological stumble, they toss the woman in front of him and the crowd and ask him what should be done with her. In the law of Moses, the punishment for adultery is death. There’s not really any room for interpretation. So they wait to see if Jesus will sanction the execution of this woman by stoning. Surely Jesus wouldn’t contradict the Law given by God to Moses. They wait, rocks in hand, ready to begin. Oh. Didn’t see that one coming, did they? Yeah, there seems to always be somebody who maybe won’t dare throw a stone, but they’ll sure spit on the ground in front of you as they walk away. According to Rachel Held Evans, we might be in danger of missing the point when we identify with Jesus in the story. Maybe the person we’re supposed to be identifying with is the adulteress. Really? I guess I’d never thought of it like that before. In my haste to continue my crusade for the outcast and the marginalized, I think maybe I accidentally left the real treasure of this story buried in the ground when I found a small coin in the dirt above it. You see, telling someone else that they shouldn’t judge lets me imply that they are WRONG. It lets ME be the JUDGE. It gives ME the air of superiority. Perhaps I don’t hold a stone in my hand for the woman, but man do I have a club hidden behind my back ready to thump somebody who dares to disagree with me. You see, even as well intentioned as my perspective is, it ignores the fact that I am a sinner as well. We’re not talking just a white lie here or the dropping of an F bomb there either. I have sinned gravely, and intentionally. I’ve never killed or injured anyone physically, but I’ve been horribly dishonest with myself and others sometimes, and God himself knows that I have had my fair share of hurtful things fly off of my tongue, hurling at others like the Pharisees’ stones. Rachel Held Evans is right. I’m much closer to the woman in the story then I’ll EVER be to Jesus. So is everyone else. She mentions that Jesus hung out with sinners because there wasn’t anyone else around. Man, what an obvious, yet easily overlooked point! Man, I feel that. Conviction. But something else happens when we put ourselves in the place of the woman in the story. Suddenly we’re no longer sitting on the sideline of the story in a cheering section singing “Yeah Jesus, you tell ’em!” We’re in the heart of the story. We’re the point. Suddenly we’re the recipient of a marvelous gift of grace. We go from thinking that surely we are about to perish in our own sin, to being granted the gift of new life from the gentle man who was sitting there just a second ago writing in the dirt. Wow. What a thing to be thankful for! What a reason to have hope! Despite all the wrong we do. Despite all the wrongs we let go by ignoring them. Despite all that we kill. Despite all that we destroy…. We are loved. I am loved. YOU are loved. I’m not sure that the pure essence of Grace has ever hit me like it has tonight. What a thing, to be forgiven. What a thing, to be loved! 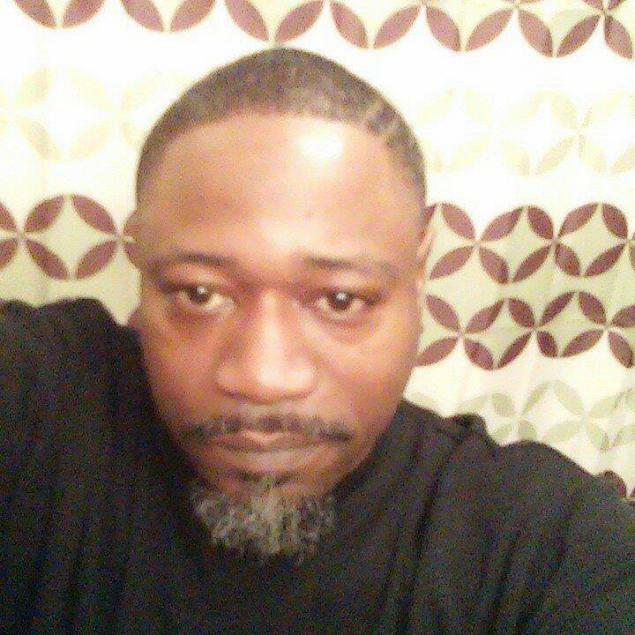 My guess is most of us hadn’t heard of Walter Scott, 50, of South Carolina until a few hours ago. By most accounts he was just a guy trying to get by in life. He had served two years in the Coast Guard, had 4 kids, and loved the Dallas Cowboys. He could be any one of us, really. Mr. Scott wasn’t perfect. Apparently he was having issues paying some child support. He had a warrant out for him for this and for failure to appear in Family Court. Last Saturday, a police officer in South Carolina pursued Mr. Scott after attempting to pull him over for a broken tail light. Eventually Mr. Scott exited his vehicle and some kind of an encounter ensued with the officer. Another individual happened to catch the incident on video via his cell phone. The video shows Mr. Scott turning to run from the officer and an object (supposedly the officer’s taser) drops to the ground. As Scott flees the situation, the officer draws his service weapon and fires eight shots into Scott’s back, killing him. The sirens of approaching officers for backup are heard, and sure enough another officer is on the scene within I’d say, 40-45 seconds after the final shot was fired. The officer who fired the shots runs over to where his taser lies on the ground and goes back to Scott’s body and drops it next to him, in a clear attempt to alter the evidence at the scene. This is ALL ON VIDEO. Another unarmed black man shot in the back by another white police officer. What is wrong with this picture? Fortunately there might be a glimmer of hope for justice here. The officer in question has been arrested and charged with murder. But Walter Scott didn’t have to die, and the officer certainly didn’t need to attempt to alter the crime scene. Can you blame people for not trusting law enforcement at this point? Can we blame people of ethnic minorities for trusting them even less? I don’t think so. Watch this video and tell me that the biggest issue in our country is a “Christian” having to sell a cake to a gay couple. No really, I dare you. We really seem to have crossed into bizzaro world. We seem to have gone off the rails. Racism is still a problem, a big problem. In Florida, Officers and corrections staff are being outed as members of the Ku Klux Klan. They never went away, they just traded in their robes and hoods for suits and ties. Violence is still a problem, a big problem. We’ve turned into a gun culture on steroids. The preferred method to settling a conflict seems to be to punch somebody, shoot somebody, or start a war. I’ve seen the results of the violence. I interned with a local CSI unit and saw people who had been shot. I picked up pieces of a guy’s head out of the back seat of a car after he’d been shot in the face. It’s senseless, but the proliferation of weapons and the culture of violence continue unabated. Sometimes I feel like we’ll just eventually annihilate each other. What do Christians, the people of Christ, do? Head down to the store on stock up on ammo, of course. Or perhaps we’ll keep figuring out how to not sell cakes to gay people. And we’ll guard each other’s dignity and save each other’s pride. My heart goes out to Mr. Scott’s family and friends. May he rest in peace, may his family find comfort, and may justice be done. And may we all find the strength to stand up, speak up, and put an END to this.